There was once a time when 'My Little Pony' was the preserve of little girls. But now it's become an internet meme in its own right. You don't have to be six years old and pig-tailed to delve into the magical wonder of these four-legged friends. There's something a little bit geeky and quite cool about 'My Little Pony' these days. A growing number of adults are unashamedly embracing their inner child. This includes the legion of Bronies - male fans of the franchise. 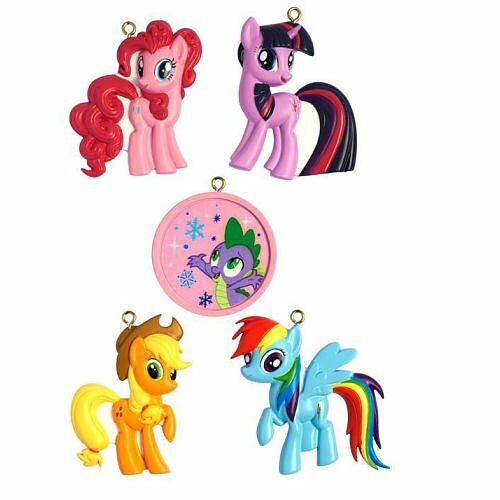 Even if you aren't quite into the 'My Little Pony' universe, these ornaments are still very colorful additions to your Christmas decor. Unbelievably, My Little Pony has been with us for over thirty years! The Hasbro production and franchise has been delighting children since 1981; and now it's working on their parents too. In this magical world, ponies live on the land, take to the skies or make their homes on the ocean bed. They trail a delightful rainbow of joy, compassion and general positivity, in a world which sometimes lacks all three. Which is probably why adults are embracing them as much as the youngsters. Now you can co-opt some of that good feeling for your festive tableau this Christmas. 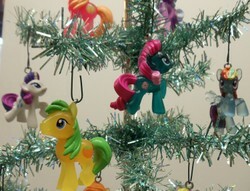 My Little Pony ornaments are ready and waiting for your tree! The unicorn pony Rarity is one of the most fitting characters for Christmas. She typifies the element of generosity, twinkling away with the reminder to be kind to one another. As the main protagonist of My Little Pony Friendship is Magic, you will find that guests easily recognize her too. This glass Rarity My Little Pony Christmas Ornament has been sculpted by Kurt Adler, a huge name in holiday decorations. Kurt Adler has also turned his attention to Pinkie Pie and Fluttershy, another two worthy contenders for the Christmas spirit. Pinkie Pie is a sociable pony, full of the joys of laughter, while the Pegasus pony Fluttershy personifies kindness. Now that's the magic that we really want at Christmas. 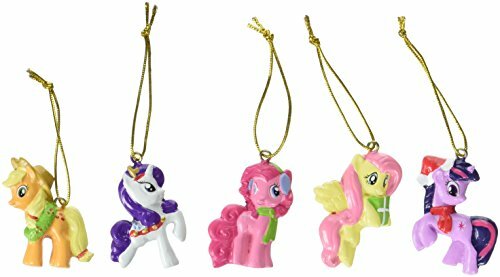 Generosity, laughter and kindness all wrapped up in colorful Christmas My Little Pony decorations! 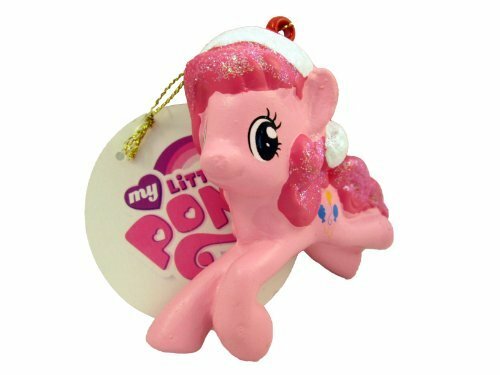 Pinkie Pie also features in the collectors' items produced by Carlton. She is the My Little Pony heirloom piece for 2013. 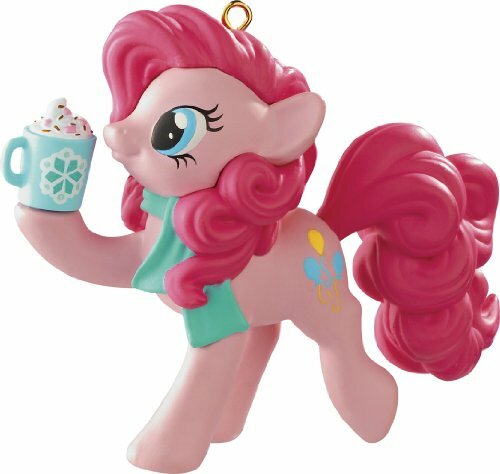 Having shed her Santa hat, as per the Kurt Adler version, Pinkie Pie is now enjoying a lovely mug of snowflakes topped with whipped cream and sprinkles. Judging by her expression, this is quite a treat in Ponyville! This is a fan-made compilation of all that makes Pinkie Pie the most sociable pony out there! Of course, the magic of a My Little Pony Christmas doesn't have to stop at one equine friend. Whole worlds and stories could be reproduced in your festive living room, if you only had a greater stable there. Help is at hand! 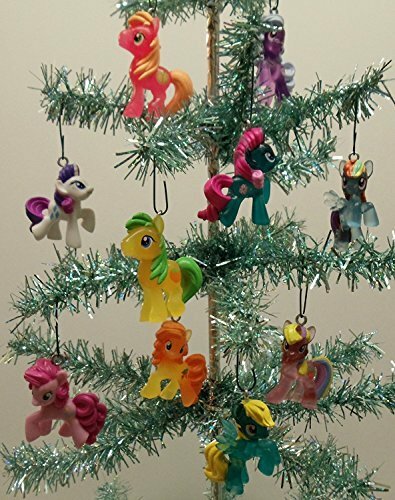 You can grab sets of either five or ten My Little Pony favorites to hang upon your Christmas tree! These cute figurines will bring their own magic and sparkle to your Christmas ensemble, hanging colorfully there awaiting a dose of imagination to bring their tales alive. What scenes will you play out this festive season? Yet More Christmas Decor Ideas Right Here! Fans of Lego and Star Wars both will find a treat for their Christmas tree each year. Star Wars Christmas Ornaments with a Lego look! Tra-la-la-la-laaaa-la-la-la, we'll deck the halls when we've got this next level. You know how it goes. Just buy a gamer a decoration and hopefully it'll make it onto the tree. The festive season is here again. It's time to deck the halls with LED lights, USB powered trees and a periodic table's worth of Christmas decorations for nerds! 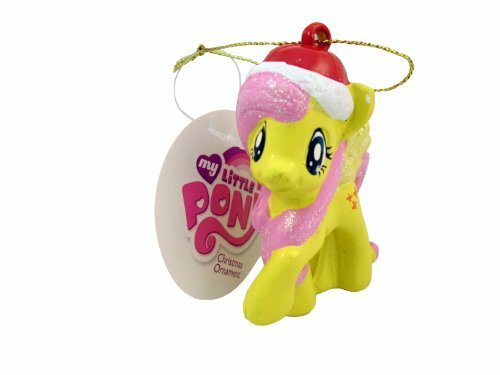 These are lovely - cute little pony Christmas decorations. Now that's a cool idea. Thanks for sharing it. It means that these can be used all year round, not just on the tree at Christmas. On the thin cord that attaches to them. Don't know what it's called. 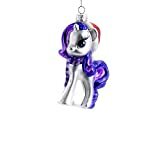 Have people been putting My Little Pony Xmas decorations on their phones? I agree, and colorful too!